Dr. Preeshagul accepts the following list of insurance providers. Select your insurance provider to see more details. I am a medical oncologist who specializes in caring for people with lung cancer. As an active member of the Thoracic Disease Management Team, I collaborate with specialties including radiation oncology, thoracic surgery, pathology, and interventional radiology. Together, we ensure that we provide extraordinary individualized care. My colleagues and I are committed to addressing not only each person’s disease, but also their unique social circumstances, priorities, and beliefs. I am particularly interested in using precision medicine when planning treatment. This personalized approach allows us to provide the highest quality of care all closer to home at MSK Bergen, where I practice. 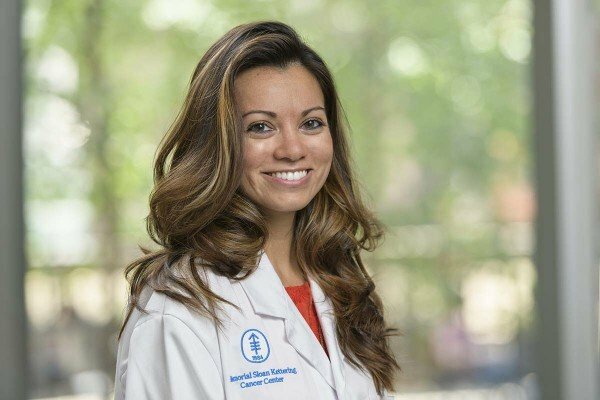 At all of MSK’s locations, people with lung cancer have a variety of treatment options and, if eligible, can participate in cutting-edge clinical trials. These studies take many forms, but all are directed toward learning more about their disease. MSK is leading the way in using precision medicine to select the most appropriate therapy based on the characteristics of your cancer. One size does not fit all and we take pride in offering each of our patients a comprehensive treatment plan designed just for them. My research focuses on personalized medicine and using biomarkers to predict a person’s response to a treatment. By identifying these unique targets, we can select treatments that may be more effective. Knowing what the best treatment is for a particular person can minimize their exposure to toxicity from therapies that may be less beneficial to them. I have presented this work both nationally and internationally and continue to collaborate with my colleagues from multiple disciplines to advance this growing field. I aim to ensure that my patients are an integral part of their treatment team. My goal is for them to feel supported and in control. I will continue my joint research efforts to provide better outcomes and improved quality of life for our patients. Seetharamu N, Preeshagul I, Sullivan K. New PDL-1 Inhibitors In NSCLC - Impact of Atezolizumab. Lung Cancer Targets and Therapy. 2017 July;13 (8): 67-78. Sullivan K, Preeshagul I, Seetharamu N, Budman D. Immune Checkpoint Inhibitors In Lung Cancer - An Update. Future Oncol. 2017 May;13(11):955-959. Saxena A, Becker D, Preeshagul I, Katz E, Levy B. Therapeutic Effects of Repurposed Therapies in Non Small Cell Lung Cancer: What Is Old Is New Again Oncologist. 2015 Aug;20(8):934-45. Visit PubMed for a full listing of Dr. Preeshagul’s journal articles. Pubmed is an online index of research papers and other articles from the US National Library of Medicine and the National Institutes of Health.